Pippin has gone in and out of the cat door to his catio all on his own now! So proud. He also was adorable yesterday evening when he sat in between my shoes. I think he was having a hard time without Gene, he was a bit antsy. He seems to be doing better today but it’s also early so not sure how he’ll be this evening. Yesterday night the girls and I watched three episodes of My Brother, My Brother, and Me, a comedy podcast turned show. It’s quite enjoyable and I laughed a lot. We’ll finish up the season (they released all the episodes at once) tomorrow when Elisabeth gets back. She’s currently visiting some friends in Fort Collins! That means it’s just me and Sidney. Our plan is to go watch the Fantastic Beasts movie at the cheap theater. And we have to go outside tomorrow since it will be such a lovely day, we just aren’t sure yet where we’ll go. 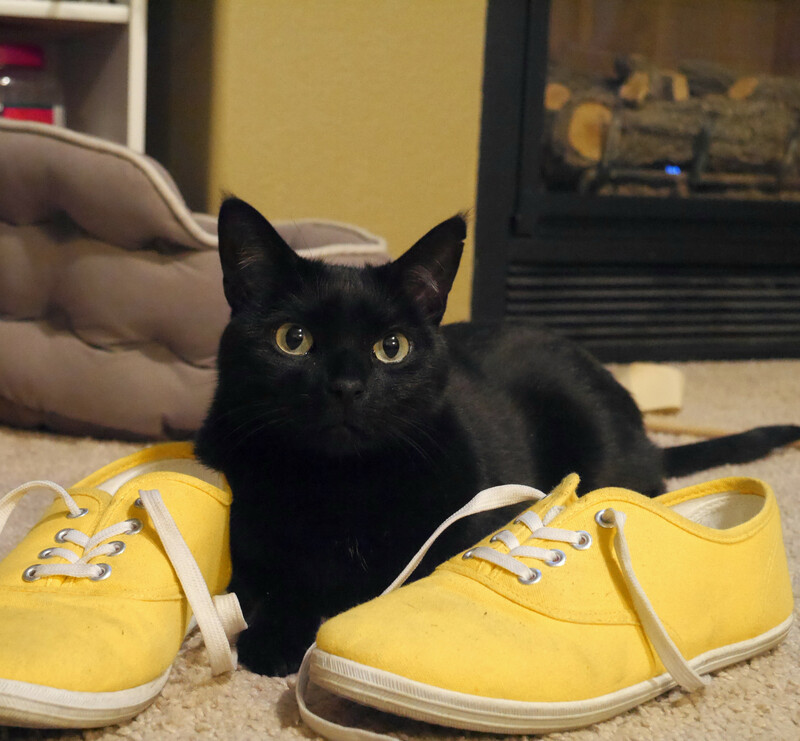 What a great pic – Pippin’s black with the bright yellow. Really pops!